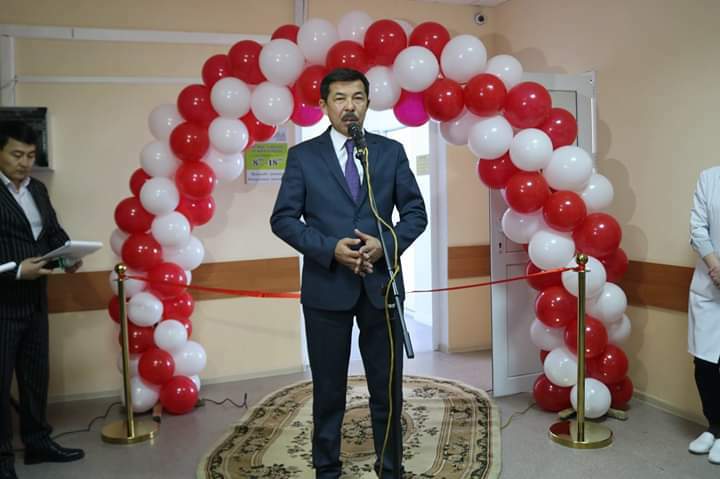 On November 30, 2018, the opening of the outpatient dialysis Center of LLP “B.B.NURA” in Atasu was held on the occasion of the Day of the first President of the Republic of Kazakhstan. 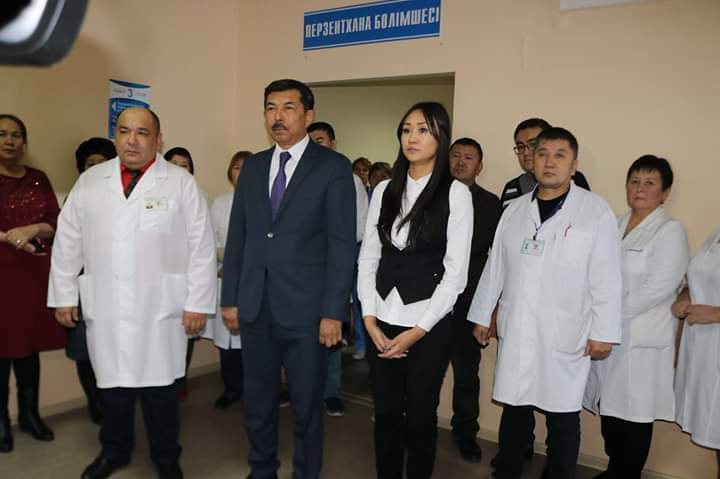 The opening was attended by Governor of Zhanaarka district Bekkhozhin Urjan Asanovich and chief medical officer of SOE “Central district hospital of Zhanaarka district” Kulmaganbetov Serik Aueshanivich. 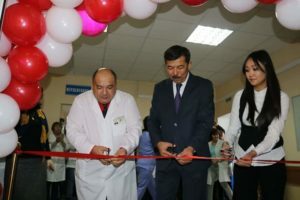 The center is opened on the basis of the Central Zhanaarka hospital, located on the 3rd floor. Today, hemodialysis get 5 patients (4 patients with Atasu, 1 patient with Aktobek v.). However, the capacity of the center allows you to take up to 6 patients a day. 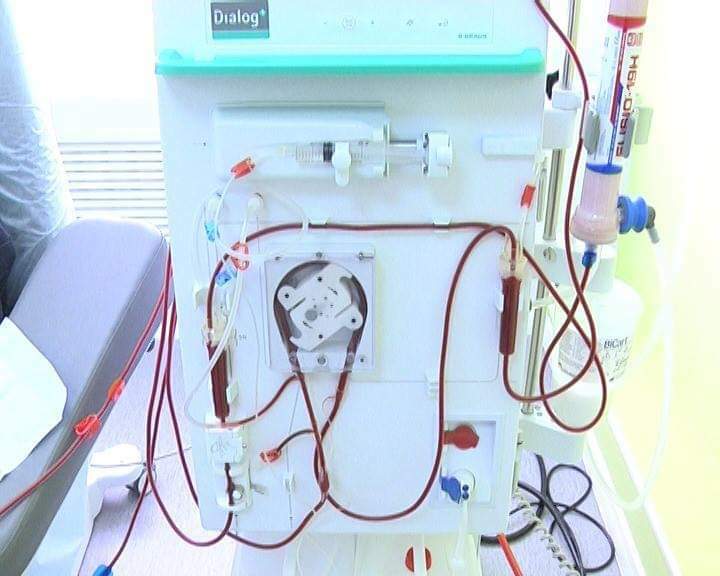 Previously patients had to travel to receive hemodialysis treatments in the city of Karaganda, now the need has disappeared. The center is equipped with modern devices Dialog+, also the center has Wi-Fi, transportation of patients to the procedure and back and food.